Hanging Rock (formally known as Mount Diogenes), in central Victoria, Australia, is a distinctive geological formation, 718m above sea level (105m above plain level) on the plain between the two small townships of Newham and Hesket, approximately 70 km north-west of Melbourne and a few kilometres north of Mount Macedon, a former volcano. Hanging Rock is located within the Wurundjeri nation's territory. 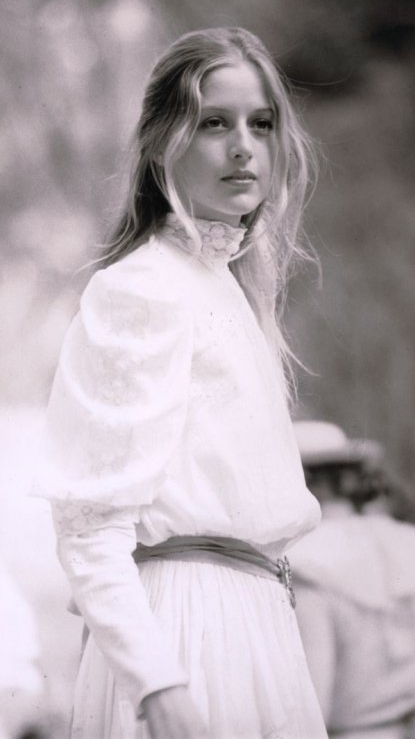 It is best known through the fictional story Picnic at Hanging Rock. Hanging Rock is a mamelon, created 6.25 million years ago by stiff magma pouring from a vent and congealing in place. Often thought to be a volcanic plug, it is not. Two other mamelons exist nearby, created in the same period: Camels Hump, to the south on Mount Macedon and, to the east, Crozier's Rocks. Alternative names for Crozier's Rocks are Brock's Monument, Alexander's Head and Mount Crystal. All three mamelons are made of solvsbergite, a form of trachyte only found in two or three other places in the world. As Hanging Rock's magma cooled and contracted it split into rough columns. These weathered over time into the many pinnacles that can be seen today. Hanging Rock contains numerous distinctive rock formations, including the "Hanging Rock" itself (a boulder suspended between other boulders, under which is the main entrance path), the Colonnade, the Eagle and the UFO. 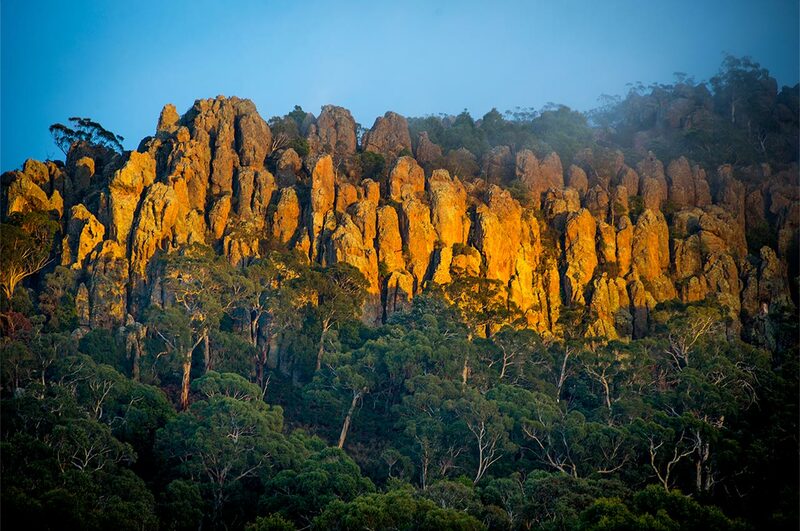 The highest point on Hanging Rock is 718 metres above sea level and 105 metres above the plain below. 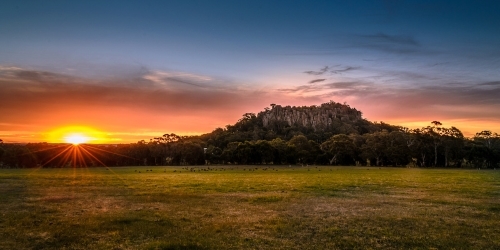 Hanging Rock is located within the Wurundjeri nation's territory but they exercised a custodial responsibility on behalf of the surrounding tribes in the Kulin nation. It was a site of male initiation and as such entry was forbidden except those young males being taken there for ceremonial initiation. After colonial settlement the Aboriginal people of the area were quickly dispossessed and forced out of the area by 1844. 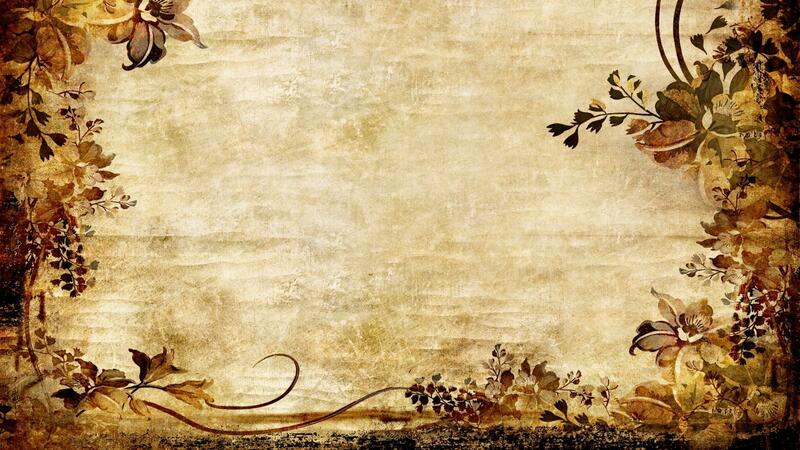 However one last initiation ceremony was held there in approximately November 1851 by a Wurundjeri Elder from the Templestowe area in the Yarra Valley. This ceremony was also attended by two young settlers' children, Willie Chivers, 11, and his younger brother Tom, 7, who were being cared for on a daily basis by the tribe after their mother had died. Their father went missing after looking for their mother. The rock's official name, "Mount Diogenes", was bestowed on it by the surveyor Robert Hoddle in 1844 in keeping with the spirit of several ancient Macedonian names given by Major Thomas Mitchell during his expedition through Victoria in 1836, which passed close to Hanging Rock. Others include Mount Macedon, Mount Alexander and the Campaspe River. Hanging Rock is the centrepiece for the Hanging Rock Recreation Reserve, a public reserve managed by the Macedon Ranges Shire Council. The reserve includes a horse racing track, picnic grounds, creek, interpretation centre and cafe. The reserve is a habitat for endemic flora and fauna, including koalas, wallabies, possums, phascogales, wedge-tailed eagles and kookaburras. The reserve is open to the public during daylight hours seven days a week. Entry is charged per vehicle. Camping is possible by arrangement. Hanging Rock Reserve is listed on the Victorian Heritage Register as a place of historical, aesthetic and social significance to the State of Victoria. Hanging Rock Reserve is currently under review by the Department of Environment, Land, Water and Planning (Victoria) to determine future governance and administrative arrangements for management of the site.